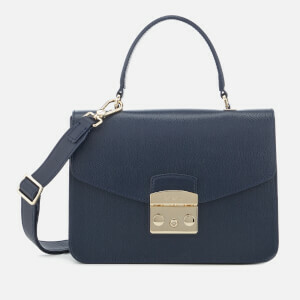 Versatile and stylish with a rectangular, boxy silhouette, the ‘Quinton’ shoulder bag from Victoria Beckham’s eponymous label is realised in soft calfskin leather with stitched quilting and glossy finish. 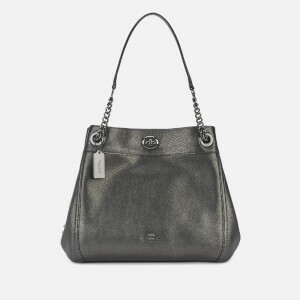 A fold-down flap, secured with a rotating turn-lock clasp, lifts to reveal a spacious interior and inside zip pocket, both lined with ribbed textile. An external patch pocket to the reverse features. 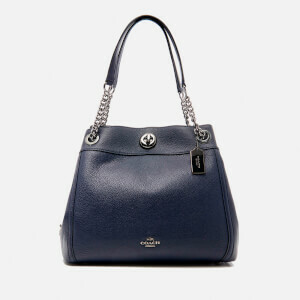 Suspended from a convertible shoulder strap that can be extended in length for cross body styling. Embellished with polished gold tone hardware, the sleek accessory is complete with discreet foiled branding on the rear slip pocket. Protective dust bag included.